Cool Water | Journey to "i do"
I’ve never been someone who’s worn perfume daily, but I’ve always enjoyed it. Usually going out at night or special occasions were cause enough to spritz some on. I tend to use one bottle at a time, unlike BM L Dawg, whose collection of perfumes is enviable. Seriously, the girl has quite the stash of perfume. Back in the day (meaning high school) I used to wear Cool Water. Why? I have no clue. 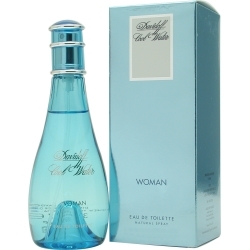 Over the years I dabbled in Victoria’s Secret scents, and even had a short affair with Dolce and Gabbana Light Blue. Most recently BM L Dawg bought me a bottle of Coach Legacy that I’ve really enjoyed. Because I buy into all things fun and bridal, I knew I wanted something to remember forever as my wedding day signature scent, so one day when I was out shopping with my friend S we headed to Sephora to pick up some samples. The girl insisted I take five at a time to make my decision but since I knew my friend S had her eye on one of the Chanel scents I purposely asked for sample of that so she could check it out at home before she decided whether or not to purchase it. Then I chose four scents and happily went home with my samples. Over the course of the next two weeks, I tried to wear them all and judge how much I liked them. Of course, Mr. Sword had to approve as well, because we all know he has his opinions. 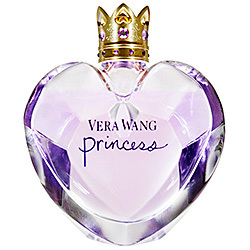 Option #1: Princess by Vera Wang because really, was there even a question in your mind!?!? It completely fits our fairy tale themed wedding and after Mrs. Beanstalk first tipped me off to this fragrance I haven’t been able to get it out of my mind since. Mr. Sword approved. Miss Sword gives it an 8. 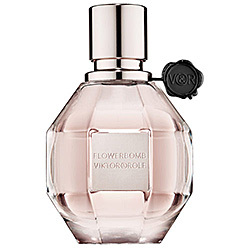 Option #2: Flowerbomb by Viktor & Rolf because honestly, I was drawn to the packaging and I liked the name. Mr. Sword did NOT approve. Miss Sword gives it a 3. Too mature smelling for me! 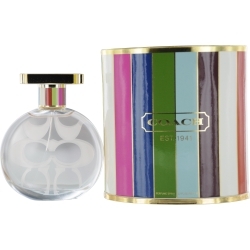 Option #3: Poppy Flower by Coach because I love all things Coach and after one whiff of this I knew it was a contender. Mr. Sword approved. Miss Sword gives it a 10. 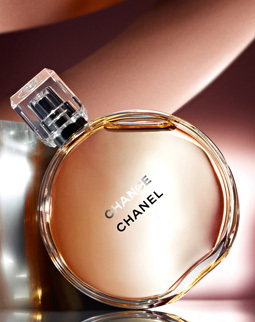 Chanel Chance because it seems like it’d be hard to go wrong with anything as lovely and chic as Chanel. Mr. Sword doesn’t approve. Miss Sword gives it a 2. It didn’t stay on very long and the smell wasn’t that great. As for Mr. Sword? He enjoys wearing cologne just as much as I love a guy who wears cologne. Mr. 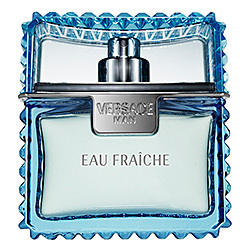 Sword has been wearing Versace Man for years now, and since we both really like it, there’s no doubt in my mind he’ll be wearing it on our wedding day as well. So, what did I pick? My top two choices being Vera Wang Princess and Coach Poppy Flower. Did I stick to my theme or go for my favorite scent? Do you have a preference between those two? What are you wearing or did you wear on your Big Day?